It took two episodes to finally get to Tribal Council, but it was well worth the wait last week when we were given our first blindside of the season. 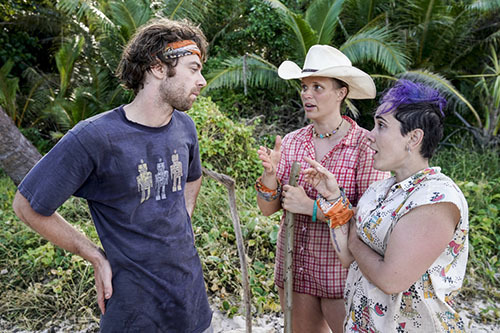 The shocking vote-out of Jessica last week though, only seemed to ignite a fire in some of the other players, and it led to an emotional aftermath at the David Tribe. But like any good season of Survivor, there’s enough drama to go around, and the Goliaths had their fair share tonight as well. It was another shocking Tribal Council – and a shocking result – proving once again how far along the game has evolved and what exactly a tribe looks for in its early targets. As I do at the beginning of every Recap, please heed the following: Remember that this recap assumes that you have already seen this week’s Episode 3 of Survivor: David vs. Goliath, so if you have not and don’t want to be spoiled, please come back later! It’s important to add too that while we WILL hit on all of the important developments of the episode, this is not a linear “blow-by-blow” recap, and is more of a discussion and reaction of what we just witnessed together. It definitely was the first “#blindside” of the season, if you’re not counting that wave that blindsided Pat Cusack last week. Two episodes in, and we finally got to Tribal Council, but for Jessica Peet – the youngest contestant this season at age 19 – fire didn’t represent life, it represented a quick exit from the game just six days in. If you missed any of the action, you can catch up with our Episode 2 Recap, as well as checking out the Podcast below. 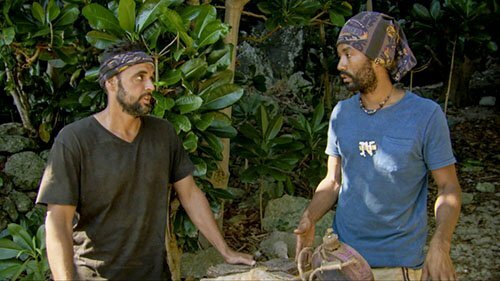 They’ve weathered the storm (quite literally), but for the second straight week, the victim on Survivor: David vs. Goliath never saw it coming. 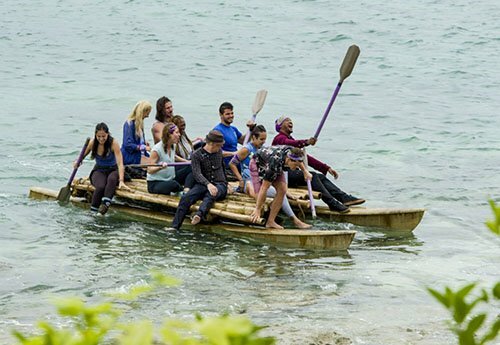 As I do at the beginning of every Recap, please heed the following: Remember that this recap assumes that you have already seen this week’s Episode 2 of Survivor: David vs. Goliath, so if you have not and don’t want to be spoiled, please come back later! It’s important to add too that while we WILL hit on all of the important developments of the episode, this is not a linear “blow-by-blow” recap, and is more of a discussion and reaction of what we just witnessed together. 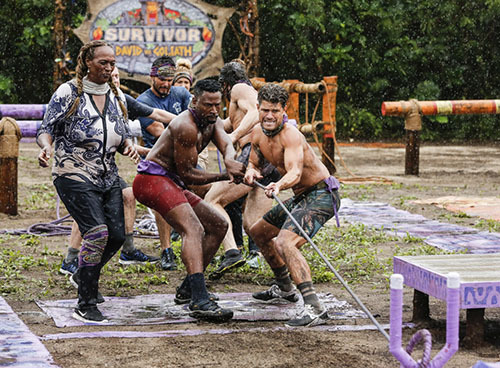 When it rains, it pours…literally, when speaking of the Premiere Episode of Survivor: David vs. Goliath. While going through casting, auditioning and all of the logistical considerations that one must go through in order to finally arrive on the show, it is often a dream come true for many, to FINALLY make it on Survivor. But too often, the show reminds players and viewers that while this is all for entertainment, it is definitely real. One contestant found this out the hard way in one of the most shocking exits the game has ever witnessed. If you missed any of the action, you can catch up with our Premiere Episode Recap, as well as checking out the Podcast below. What’s up my Survivor people? It’s so great to be back covering the show that I love, and what an explosive, promising start to Season 37! The early buzz is that people are loving the potential of this cast, and if nothing else, the “David vs. Goliath” theme of the season has created some early players to root for, and some to root against, simply by how they were categorized out of the gate. So much to get to, so – as seems to be the main slogan on Big Brother 20 this season – LET’S GOOOOO! I bring up Big Brother not just because its 20th Season Finale followed the Survivor: David vs. Goliath Premiere (and that I’m a huge fan of that show as well), but Survivor managed to steal Big Brother’s motto during the first episode: Expect the unexpected. We’re used to hearing Julie Chen, er, Julie Chen Moonves utter this phrase, but we’re not quite accustomed to hearing Jeff Probst say it. Well he did by the end of the episode, because the way this one ended was one of the most shocking right-turns the game has ever seen, so much so that the biggest event of the night didn’t even occur on camera…and that’s pretty hard to pull off considering the number of cameras this show uses 24/7. But “the unexpected” ending, in the words of contestant Gabby Pascuzzi: “Fits so perfectly, in the worst way,” with the “underdogs vs. favorites” theme of this season. Expect more of the unexpected in the weeks to come. One thing you CAN expect though is this little disclaimer before we dive in: As I do at the beginning of every Recap, please heed the following: Remember that this recap assumes that you have already seen this week’s Premiere Episode of Survivor: David vs. Goliath, so if you have not and don’t want to be spoiled, please come back later! It’s important to add too that while we WILL hit on all of the important developments of the episode, this is not a linear “blow-by-blow” recap, and is more of a discussion and reaction of what we just witnessed together. After putting up with the affections of Shep Rose and Austen Kroll, Chelsea Meissner definitely deserves a good guy, and it looks like she found it fellow Survivor-alum Nick Dana! The Southern Charm star shared a photo of her and Nick from the Netherlands, where he was competing in a sailboat racing event. 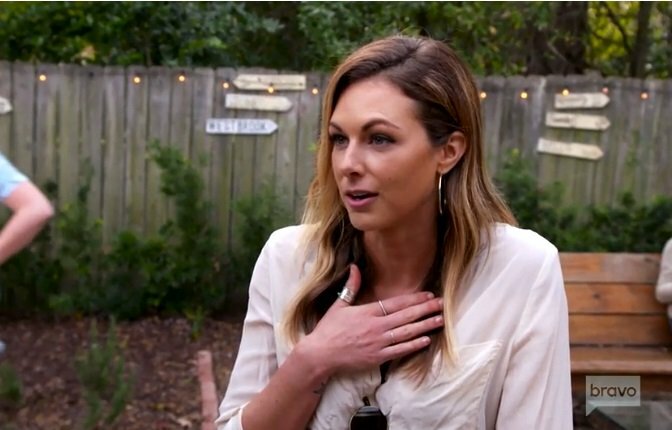 Chelsea also revealed that she’s been on tour with Nick and his racing company… and apparently she’s not the deckhand! 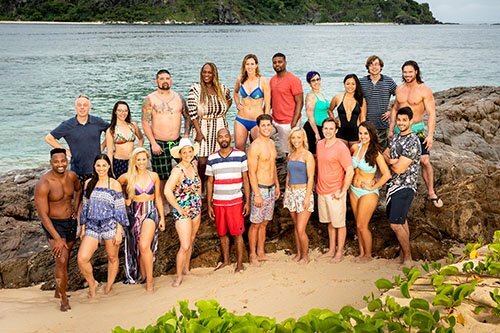 Season 36 of Survivor, Survivor: Ghost Island, is a thing of the past, having ended this past Wednesday night. So where does this past season fit in to my list of most memorable?